A notable curiosity in the current presidential campaign is an absence of dogs, who have often appeared as supporting cast in previous American elections and sometimes, tails wagging, even helped shift a campaign’s momentum. 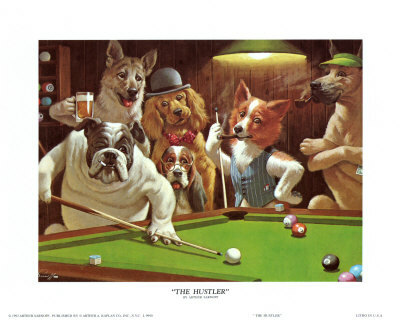 The most familiar of these political dogs are Franklin D. Roosevelt’s Fala and Richard Nixon’s Checkers. Both of these dogs rescued embattled candidates eight years apart to the day. Nixon playing with Checkers in the backyard of his Washington home in 1952. On September 23, 1952, facing charges of financial impropriety, Nixon sought to preserve his place as Eisenhower’s running mate by trotting in front of television cameras his family and his little cocker spaniel, Checkers, the one gift he admitted taking from political supporters. “And you know,” he said, “the kids, like all kids, love the dog, and I just want to say this, right now, that regardless of what they say about it, we’re gonna keep it.” Checkers showed that playing the poor-picked-on-dog card might buy you enough sympathy to get what you want. Nixon never learned to deliver a speech or to master the new medium of television. But a consummate political animal, he doubtless knew he was invoking memories of FDR’s Fala speech. Roosevelt was ailing, trailing, and failing — party leaders felt — to respond vigorously to personal attacks, when he spoke on September 23, 1944, to the Teamsters Union meeting in Washington, and to a national radio audience. The President recognized the reality of aging, then proceeded to lambaste the Republicans for all their policy mistakes, their falsehoods and hypocrisies. After 64 years, you can still hear the Dewey campaign implode as the Teamsters erupt in laughter. A month later 3 million people turned out for the President’s visit to New York, with Fala and Eleanor beside him in an open car. Fala had become an icon, a dignitary, wrote John Crider in The New York Times. 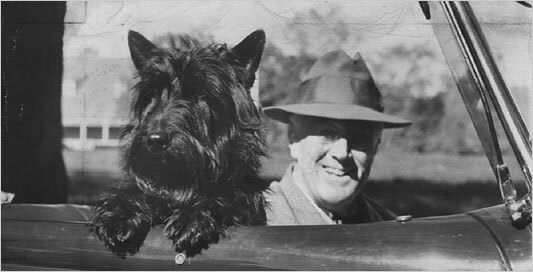 Roosevelt showed that a well-timed bark, framed with withering humor, can completely alter the tenor of a campaign. In this campaign, we’ve seen the dog’s progenitor, the wolf, used to invoke fear and revulsion. A recent McCain ad had Barack Obama morphing into a big bad wolf pack to threaten little Miss Riding Hood, a k a Sarah Palin. Meanwhile, the Defenders of Wildlife ran a graphic ad attacking Palin for the aerial hunting of wolves. Wolves belong in the woods, running free. We need our our old interlocutor, the dog, who understands us better than we do ourselves, but they are not to be found. John McCain has four dogs, we’re told, but we never see them. Reportedly, the Obamas have promised their children a dog, should he win, which led the American Kennel Club to conduct an online poll to identify the best breed for the family. The French poodle won. Granted, the French helped the rebellious American colonies secure independence, and Washington and Jefferson were enamored of French dogs, but a poodle is, perhaps unconsciously, an odd pick. Banned from military service early in World War II as too frivolous for work and from the Iditarod International Sled Dog Race, headquartered in Wasilla, Alaska, as not rugged enough for the cold North, the poodle has long been deemed both one of the least serious and most intelligent of dogs. Whatever the case, without a flesh-and-blood dog or two on the trail to remind the candidates of their better selves and bring some humor to the proceedings, I fear this campaign may be doomed to devolve from name-calling into a knockdown, eye-gouging, brass-knuckle street brawl of the sort only humans can wage. Animal rights activists are seeking to drastically change the way the world eats, dresses, farms, and works, all to suit their own personal views. They are against the breeding and all other uses of animals and animal products by humans. They manipulate the media by constantly referring to the national animal rights organizations (primarily the Humne Society of the United States – HSUS) as the final authority on issues having to do with animals. Newspapers and other media outlets routinely use press releases from these organizations as news reports without ever investigating whether the information they provide is true or false. The article below is a response to a Roanoke Times piece by Dan Radmacher, editorial page editor, lamenting the lack of trust in the media. Editorial page editor Dan Radmacher complains that many people close their minds to anything appearing in the media (“Don’t discount all news sources,” June 29 column). He misses the point: Our distrust comes from our experience. Most of us are experts on something. And most of us have seen such soft-headed coverage of the area we know about that we don’t trust any of what we see or read. Laws about the keeping and breeding of pets — my area — are an example. Not only do the media generally get these stories wrong, but they show an utter lack of curiosity about the truth. Remember the “Virginia is for puppy mills” campaign last year by the Humane Society of the U.S.? The Roanoke Times’ lead story was taken almost entirely from the Humane Society’s press release and an interview with a society staff member. Would you publish a story about black America based mainly on a KKK press release and quoting the Imperial Wizard? If the KKK were politically correct, you bet you would. That leaves the impression that most breeders are violating the law, doesn’t it? That incorrect impression was the Humane Society’s intent. Are we unreasonable to expect that you’d get and print the facts? There are probably about 900 breeder Web sites indicating a Virginia location. Many, however, are hobbyists who only occasionally have puppies available and who lose money on most litters. Most of the rest sell only directly to the public. Neither of these groups is required to be federally licensed and, since USDA regulations are written for breeding farms (for example they don’t allow puppies in your home), complying with them in order to become licensed would require a lowering of standards for most. All Virginia commercial breeders are subject to inspection by animal control and the state veterinarian. All must comply with zoning regulations that may make additional requirements. Localities also have the power to license anyone who sells pets as a business. All breeders must comply with the laws that cover all animal owners and even hobbyists may be inspected if a warrant is obtained. Where does the Humane Society — a charitable corporation with no official status — get the power to bust breeders as it did in the case of Horton’s Pups? How is it that nearly all dogs taken from what are claimed to be horribly abusive situations are in good enough condition to be sold days afterward? Was it truly impossible for you to lay bare the real story — that many statements by the Humane Society (and other animal rights organizations) are not backed up by the facts? That these are people who make a great deal of money by leading Americans to believe that our donations help animals, rather than the truth: Almost all the money goes to campaigns to pass laws against accepted animal uses and husbandry practices? Garbage in, garbage out: Your editorial led the society-organized chorus calling for more regulation. House Bill 538 — the claimed fix — barely passed. I haven’t seen anything in The Times to the effect that the new law isn’t regulation, but an effective ban on breeding dogs at any more than a part-time scale. Neither has there been an impact piece: How will the 100 to 200 Virginia farmers who will shortly be out of business cope? What will happen to perhaps 10,000 breeding stock dogs that are no longer needed? Where will Virginians go for the puppies that won’t be legally bred here? Eliminating pets is only one facet of the no-animal-use movement. Production of meat, milk and eggs, hunting and fishing, even circuses are all being made steadily more expensive and difficult. Medical research that uses animals is slowing down as security precautions become tighter and more costly. The number of researchers willing to live with abuse and threats of violence against themselves and their families is falling. Is this really of so little significance that coverage based on society press releases is good enough? The wounds of which editorial page editor Radmacher complains are self-inflicted. If you want us to trust you on subjects for which we lack direct knowledge, then you need to do competent work on those we know about. When you have looking to adopt a dog there are many considerations you must make. First you are going to look at the types of dog breeds and which one may be your favourite. Once you have determine the type of dog you want you have to consider the living arrangements, get the crate, bed, food bowls, and other dog care needs. You are also going to be choosing your dog based on the cost of the actual dog. There can be high costs related to adopting a dog, especially if you find the dog through a breeder. In these considerations you may want to look at pre- owned dogs. Most of us like to have a puppy so that it is raised with us and our family. We also like the ability to make sure the dog has been trained to our specifications and that bad behaviours no longer exist. When you are searching for a pre- owned dog there are many considerations in this area that you should look at. First a pre owned dog should be trained. They should have gone through socialization and obedience training at the very least as a puppy. The owner should also continue this training as the dog ages. If the owner has done their job in the proper care and training you can be rather confident that the dog will have the best behaviour they are capable of. You should also consider the behavioural changes a pre- owned dog can experience. You will find that most dogs have at least one person they fall in love with and consider their master. When a pre- owned dog is abandoned by this person you can have a resulting behaviour change. This means that the dog may have been wonderfully sweet, playful, and willing to accept your affections while in the care of their original master, but once they leave the nest, as it were, they may experience separation anxiety and develop bad behaviours. They may even try to run away. This means that you have to be very careful in your consideration. Take the time to get to know the dog. Take the dog to your home a couple of times, have the dog without the owner present, and make the dog feel at home. You can help the dog feel more comfortable before they leave their current home to avoid some behavioural issues. Most often with a pre- owned dog you are getting the best behaviour, but you are also getting an older dog. This may be something that makes the choice for you. An older dog is not going to be as energetic, and they may even have issues regarding health. 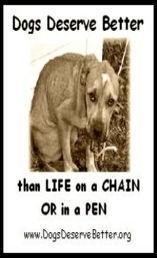 It will of course depend on the breed as well as the care they have had their entire life. You may also want to think about the reason the dog is going to be sold. Has the dog developed a health problem the owner is not disclosing, or are they moving some where the dog is not allowed? There are many reasons for a dog owner to give up a dog. It is important to know those reasons before taking the dog home with you. You should take the dog to a vet for a complete checkup to make sure you have a healthy dog. You also want to make sure you understand the care and feeding the dog will need. Some owners have their dogs on special diets. This means you need to follow those rules in order to make sure the dog stays healthy and will continue to be happy. Asbestos is a highly toxic and dangerous source of indoor air pollution. It is a recognized human carcinogen by the U.S. Department of Health and Human Services (DHHS), the World Health Organization, and the U.S. Environmental Protection Agency. Unfortunately, just as your dog or cat can bring unwanted fleas and other critters into the house, pets can carry asbestos too. They do so by transporting dust or dirt on their fur or feet if they spend time in places that have high levels of asbestos in the air and surrounding environment. Complications from asbestos exposure can include two types of cancer: lung cancer and mesothelioma. Mesothelioma is a cancer of the thin lining surrounding the lung (pleural membrane) or abdominal cavity (the peritoneum). Tragically, a dog was reportedly the first animal to make asbestos and mesothelioma dangers known in 1931 to researchers before they became aware of its toxic effects upon humans. See, N.H. Schuster,”Pulmonary Asbestosis in a Dog,” Journal of Pathology and Bacteriology (34:751-757). A recent study by two veterinarians at the University of Georgia, concludes that dogs diagnosed with mesothelioma, like humans, usually have a grave prognosis. If you work in an environment were you are exposed to asbestos, or you have reason to believe that your pet may have been exposed to asbestos, you and your pet are at risk for asbetos-related cancers and mesothelioma. Please contact your doctor and veterinarian immediately if you think you or your dog have been exposed to asbestos, and you have any questions about potential health risks. If you have any questions about your legal rights, and any that you think your pet may have, please contact a lawyer or law firm near you. The new city ordinance, requiring most pets over 4 months old to be sterilized, takes effect Oct. 1. If you’ve been on the L.A. Animal Services website any time in the last couple of months, you know the department maintains a digital countdown of the days, hours, minutes and seconds until the city’s spay/neuter law goes into effect Wednesday. Now, there’s less than a week to comply with the ordinance requiring most pet cats and dogs in Los Angeles to be sterilized. There are a number of reduced-cost options for sterilizing your animal. The city’s shelters and many of their private rescue partners offer vouchers — to everyone — worth $30 toward the cost of a sterilization procedure performed by participating veterinarians. Senior citizens, the disabled and low-income residents quality for a certificate for a free procedure at certain veterinary hospitals or a mobile clinic. Ed Boks, general manager of L.A. Animal Services, also notes that the South L.A. shelter has a spay-neuter clinic and that the Harbor and West L.A. shelters have clinics that will be up and running in two months. Also, as part of a push to get more pets spayed and neutered, a group of organizations is sponsoring the third “Spay Day L.A.” event Oct. 24-26. During those days, certain veterinary facilities will offer free spay services. The ordinance exempts plenty of dogs and cats: those that have special skills, are being trained for special activities, have medical excuses, are show dogs or whose owners aspire for their animals to join the show circuit. Otherwise, dogs and cats 4 months and older must be sterilized. Owners found not to be in compliance have 60 days to alter their pets or pay a $100 fine. A third offense results in a $500 fine. When the Los Angeles City Council approved the measure in February, the hope was that pet sterilization would stem the tide of unwanted and stray animals flowing into shelters. According to the Humane Society of the United States, 3 million to 4 million animals are euthanized in shelters nationwide each year. Since the L.A. measure was approved, City Controller Laura Chick has released a report — a link to which can be found on her Web list of audits — stating that L.A. Animal Services was ill-prepared to implement or enforce the new law. Boks issued his response (a link to which can be found on the Animal Services website) saying his department would enforce the measure “to the fullest extent possible. Owners should not conclude that they can avoid compliance without consequence.” Boks said it is not possible to go door to door or patrol streets to enforce the law because he has only 64 animal control officers covering the entire city. Do you think that it should be mandatory for all pet owners to sterilize their pets, unless they fall under one of the exemptions ? Or, do you think the this is something the government should stay out of ? I saw this posted on the pet network and thought maybe posting it here as well, may help them out!! We have kicked off our 2008 Dog House Drive At Hooves & Paws Rescue, Inc. The donations for the 2008 Dog House Drive have already started to come in. Others have contacted us to see how they can help, which is wonderful. We want to be able to purchase as many dog houses as possible before October 31, 2008 so that we are able to get these dog houses distributed to low income families in both IA & NE who have pets but can’t afford a dog house for their pet. With winter right around the corner we need to think about those dogs that have no shelter during the long winter days and nights. We know everyone is busy but if you would like to get involved with this Dog House Drive please let us know. available to anyone who can’t afford a dog house for their pets in both IA & NE. Anyone that is interested in helping us make this happen please e-mail us at info@hoovespaws.org/Websitehttp://hoovespaws.org or call us at 712-527-3721. We know there are a lot of animal lovers out there. Your pets are warm and cozy either inside your home with you & your family or they have a great dog house to keep them warm. What about those who don’t? Imagine how long the days and nights are without some form of shelter. Many dogs out there will be very thankful for a warm dog house when the wind is howling and the snow is blowing. Please get involved in our Dog House Drive to help those who need a little helping hand keeping their pets warm & cozy this winter. Here are a few ideas that were sent in to our rescue website on how to help make this happen. **Get a group together at your job to purchase at least one dog house or if possible two or three!! **If you are a carpenter or know a carpenter or handy man or lady ask them to build us a few dog houses for a very worthy cause. **Contact 4H Groups and Church groups and ask them to get involved building a few dog houses. **Those of you that have children contact the schools and ask them to make this a special project for the kids to work on. **Contact local businesses and ask them to help. Ask them to donate either directly to our rescue for us to purchase the dog houses and mark their donations 2008 Dog House Drive. Or, ask them to purchase one or more dog houses and tell them you will pick the dog houses up and deliver them to our rescue. 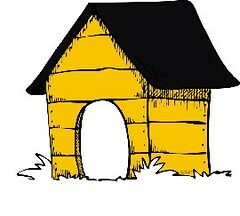 **Used Dog Houses will only be accepted if they are in good useable shape. *If you or anyone you know would like to donate bales of clean straw to put in these dog houses for insulation & warmth we can store these at the rescue in a dry area until the dog houses are distributed. Blankets do not work well for outside dog houses unless the Owners are willing to check the blankets to make sure they are kept clean & dry for the dogs. We have made up flyers regarding our 2008 Dog House Drive. If anyone would like flyers to take along with them when they contact local businesses please let us know that and we will get those to you either via snail mail or we can arrange to drop them off to your home. Please don’t make copies of the flyers. If you run short we would be happy to get you more. If you plan on contacting a business please make sure before you do we know who you are contacting so we do not duplicate request for this cause. Remember, our 2008 Dog House Drive only runs through October 31, 2008 so we have alot of work to do in a short time. **As always please cross post via e-mail and also share this information with your family & friends. Also, share this information with anyone who may need a dog house for their pet that lives in either IA or NE. Anyone needing a dog house is welcome to contact us either through our website or by calling us at 712-527-3721.